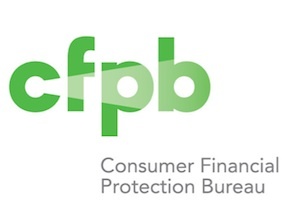 (Joseph Mikkelson, OnlineEd) – The CFPB is off to a rocky start in 2014. In an interesting turn of events, the CFPB will undergo a probe regarding how the entity treats its employees. According to an American Banker report, there are striking racial disparities in how employees are ranked in performance reviews. According to the report, CFPB managers specifically ranked white employees “distinctly better” than minorities in performance reviews. There reviews are used to determine raises and issue bonuses. The CFPB ranking system rates employees on a 1-5 scale, where employees with higher ratings receive better benefits than employees with lower rankings. The report found that overall, whites were twice as likely in 2013 to receive the agency’s top grade than employees of a different race. Nearly three quarters of white employees received a rating of 4 or 5, compared with 65.5% of Asians, 65.2% of Hispanics, and 57.6% of African-Americans. The disparities were even greater towards the extremes of the range: one-fifth of white employees (20.7%) received a 5 – and were dubbed “role models” – compared with 10.5% of African-Americans and 9.1% of Hispanics. These discrepancies carried over into the lower ratings as well, with 42% of African-Americans, 34.5% of Asians, 34.8% of Hispanics receiving a 3 rating, the lowest grade given out in high volume. Only 24.4% of white employees received the low 3 rating. These findings are disappointing to proponents of the CFPB and serve to fuel the fire of its detractors, as the government entity is expending millions trying to enforce regulations aimed at reducing just this kind of disparate impact. In the mortgage industry, the emphasis on fair lending and responsible financial practices has never been higher. The CFPB must now answer serious questions about addressing their own shortcomings in an area that they were being reasonably expected to be setting an example. This report comes at an inopportune time for the bureau, as a bill was recently passed in the House of Representatives approving an overhaul of the CFPB, which would effectively hamstring the agency. The bill, which passed 232-182 would replace director Richard Cordray with a five-member commission, and would subject the CFPB to regular budget appropriations and includes no funding beyond the next two years. This bill is not likely to go much of anywhere, however, as majority leaders in the Senate have said the bill would not even be considered, and President Obama has indicated willingness to veto the legislation. Whether these two obstacles will be bumps in the road, or lingering issues, it is clear that it’s still business as usual for the CFPB, with a period of vigorous rulemaking on the horizon. After a few years focusing on the mortgage industry, the CFPB is shifting focus to the debt collection, student loan, and mortgage loan servicing industries. Stay tuned for more developments coming out of the CFPB. This article was published on March 13, 2014. All information contained in this posting is deemed correct and current as of this date, but is not guaranteed by the author. Due to the fluid nature of the subject matter, regulations, requirements, laws, prices and all other information may or may not be correct in the future and should be verified if cited, shared or otherwise republished.